Dr. Jonathan Greenburg released Zyppah, a mandibular advancement device (MAD) in 2012. 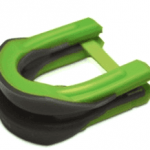 Zyppah is a MAD with an additional tongue restraining mechanism that holds the tongue flat. This means that it reduces snoring by keeping your airway clear of both soft tissue and your tongue. The device we reviewed was the basic model that can be ordered online without the need for a prescription. Zyppah has three other models that need to be custom fitted by a doctor or dentist. Dr. Greenburg has opened five sleep clinics in southern California where it is possible to go to be fitted for these higher-level devices. If you don’t live in Southern California, you may be able to access these devices through a certified dentist near you. Dr. Greenburg has launched a new membership and training platform for dentists. Sleep Certified offers to train dentists in the treatment of snoring and sleep apnea. For dentists, membership in the program offers them the ability to access a new patient group by providing a new service. Dentists once certified can receive patient referrals through the network, which can be more than worth the membership fee even without the other benefits of joining. Members will receive training and support to provide these new services which can increase the value of their practice. As part of this bundle, they will be able to access the custom fitted Zyppah devices, for their patients at a reduced cost. For patients sleep certified dentists can provide an alternative to CPAP as a treatment for sleep apnea. With the network of dentists nationwide the chances of finding a provider nearby increases. The levels of certification are also easily visible to patients so they can have confidence that they are going to an experienced practitioner. Is the Dr. Buteyko Method a Real Snoring Solution?